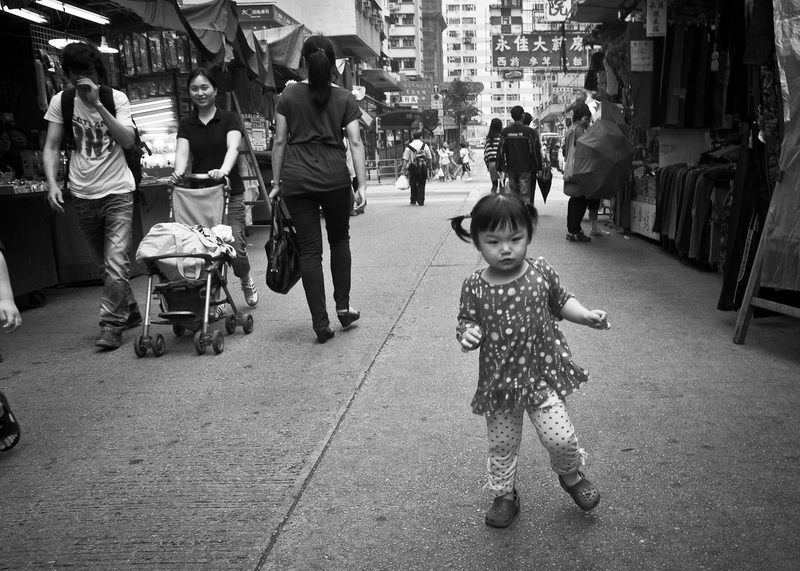 While walking through one of the many street markets in Sham Shui Po I this young girl toddling her way through the crowds. This being Hong Kong I had no qualms about taking her picture, although in almost any ‘Western’ country I would not run the risk. Hong Kong, 2011.